De-clutter and re-organize with these Orion 4-Shelf Bookcases, which have space for books, periodicals and more. They will also provide a place to store and display knick-knacks, family photos and precious memorabilia. The clean, basic design of each of these storage units will complement virtually any decor. 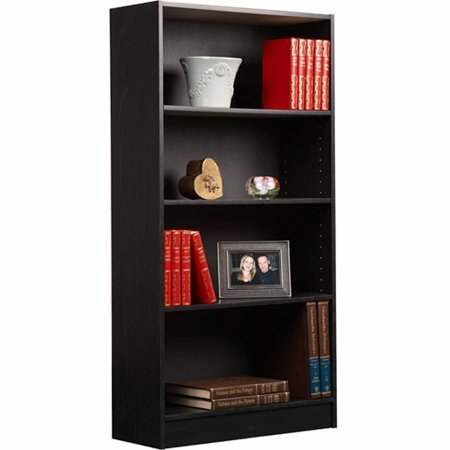 Featuring adjustable shelves, these classic items can handle books of any size, and their sturdy wood construction ensures years of use. A protective kick plate defends against scuff marks, whether these cases are in the living room, bedroom, guest room, den or home office, and the solid black panel provides a rich background for your displayed items. Give any room style and order with these classic bookcases.